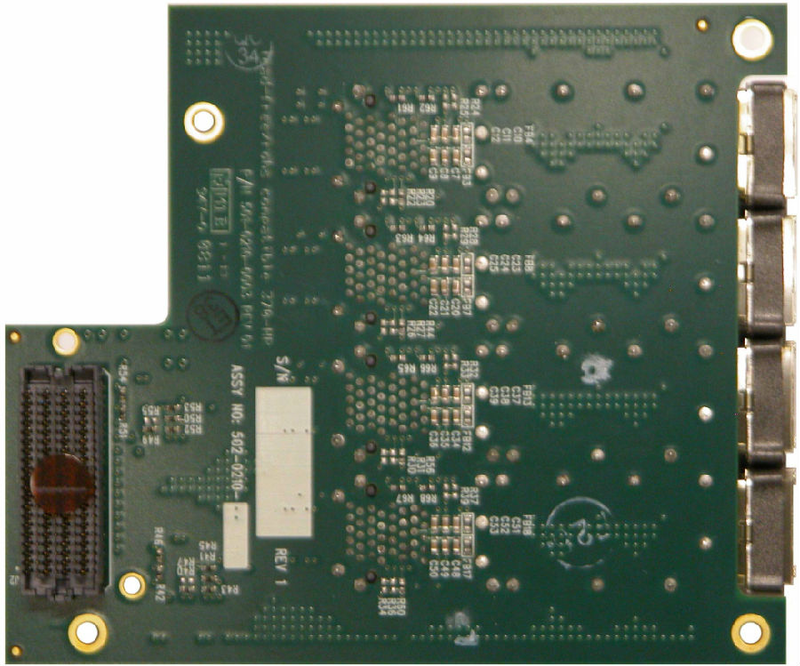 DNSEAM_SFP is a daughter card to add low-latency network connectivity to Dini Group prototyping boards. SFP sockets are compatible with a wide variety of physical media including 10/100/1G base-T, optical gigabit Ethernet, Fibre channel, direct copper connection, and others. The eight SFP sockets can operate as independent network endpoints, or can be ganged into a single eight-channel connection. 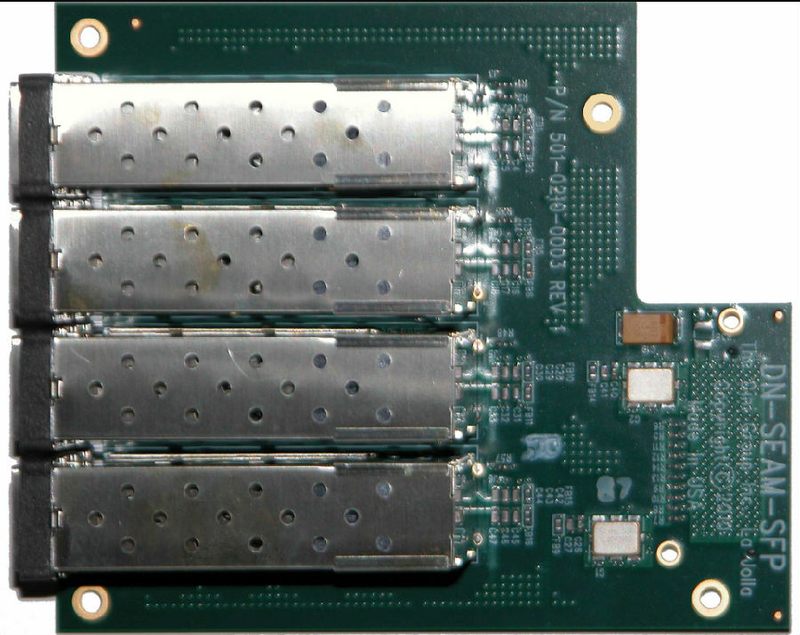 Serial transceivers for the DNSEAM_SFP are contained in the Xilinx or Intel/Altera FPGA on the mother board, and the speeds achievable are limited only by the speed of the FPGA on the mother board. When used with the DNHXT mother board you can use SFP+ modules on the DNSEAM_SFP for data rates above 10Gbit per second. Link status and activity LEDs are provided. When optical cables are disconnected from SFP+ modules, please note that an array of 8 dangerous lasers shoot from the side of the daughter card possibly destroying eyesight in mere seconds. l Expansion card that adds 8 SFP sockets.